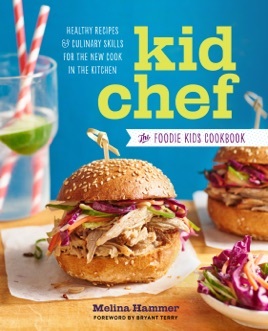 Aspiring young chefs will love the fun, easy-to-follow instructions in this kids’ cookbook that’s part cooking school and part cookbook. First, kid chefs enroll in culinary school and learn the skills they’ll need to excel in the kitchen, from sharpening their knife skills to prepping ingredients. Then they’ll be ready to set up shop and cook a range of delicious—and nutritious—recipes that are sure to please parents, too. RECIPE TUTORIALS: Easy-to-follow recipe tutorials help kids put the basics they learn into action—from making garlic bread, salsa fresca, and more! Whether you’re cooking with kids or empowering your child to cook family meals on their own, Kid Chef will give them the tools they need to succeed in the kitchen.